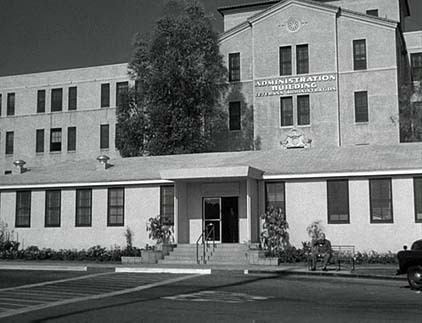 The Administration building as seen near the beginning of the episode. A 2009 view courtesy Eric Cooper. "Note new signage is in same place as old signage was in 50's." 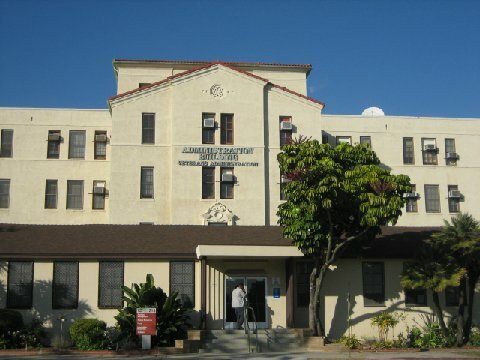 The Hospital building as seen near the end of the episode. A 2009 view courtesy of Eric Cooper. "The building next door to the first." Eleanor Avenue is a short road that runs west beside a building in the Hollywood Center Studios. 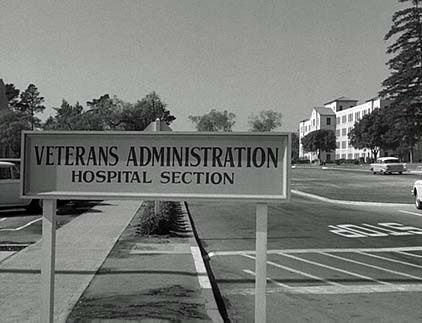 It is one block east of the studio gate at 1040 N. Las Palmas Avenue seen in several episodes and referenced in others. There's some discussion of the gate and studios here. See the corner on Google Maps here. 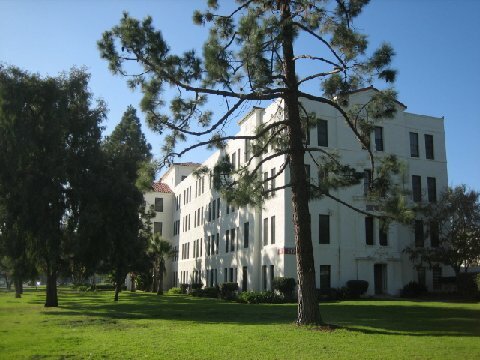 A view of the corner as seen in the show. A 2010 view of the corner courtesy Eric Cooper looking in the same direction as seen in the show. Eleanor Avenue has gone from the signpost but the road is still there. And a shot from Eric Cooper looking the other way. Why, we're just outside the studio where the show was filmed. How convenient!